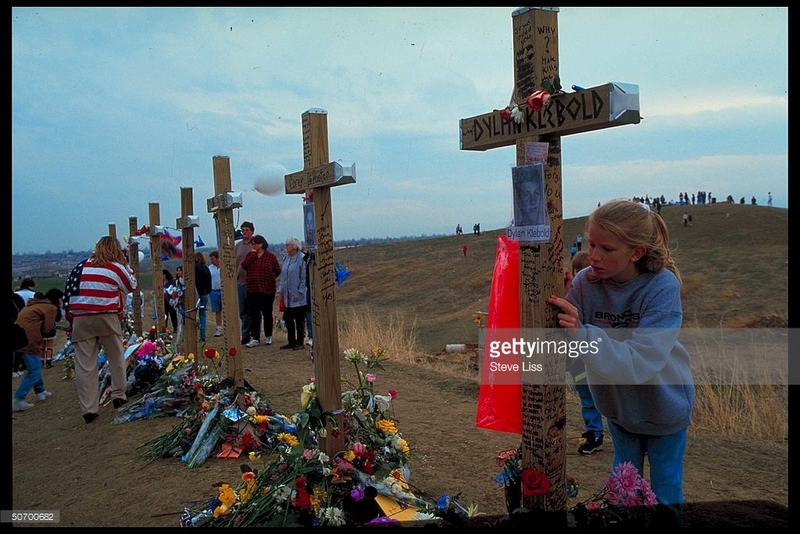 I remember Columbine. I was in high school then. I remember the significance of Hitler’s birthday and the images on the tv. I remember the interviews afterschool on Oprah. I remember after when bomb threats came to my school and my teacher cried as she tried to stay in control and led us to safety. I remember leaving our high school campus and heading to the nearby university auditorium. And, I remember as more bomb threats were called in, we remained closer to the school. Bomb threats became casual trips to the football field. But, we did invest in mesh backpacks. I remember Virginia Tech as a high school teacher. I watched the news in shock. My heart broke and my mind took in every bit of news I could find. I posted the Virginia Tech school colors on a social media pin. I remember being a high school teacher and receiving an email about the threat of a shootout at school that day. I still remember the cop cars surrounding the building and hiding in my classroom until I got the all clear. I remember emailing my husband and family and asking for prayers. I remember being a new mom when Sandy Hook happened and dropping to my knees. The weight of the tragedy too much for a new mother to handle. I cried for days. I remember making decisions then about how I could protect my baby in a world where other mama’s babies were taken away in kindergarten and first grade. I remember the Orlando nightclub shooting because I have danced in predominantly gay clubs. I remember UCSB sorority rampage because I was in a sorority. I remember the Vegas country music festival shooting because I have attended outdoor concerts. I remember the shooting in the movie theater in Colorado because I go movies. I remember the church shooting in Texas because I have spent hours upon hours of my life seeking sanctuary within the walls of a small church. I remember these tragedies because I am human. I remember because I recognized years ago with Columbine that I am not exempt. I could have been present at any one of these horrific shootings. But, so could anyone. And, I think that is what bothers me the most. People who have not experienced the tragedy and simply move on and forget – and never seem to consider that it could just have easily been them. I know, beyond a shadow of a doubt, it could have very well been me. Now, I have come to accept that it could just have easily been my children. And, that is not okay with me. You see, Columbine is still burned in my memory. And, that tragedy was 19 years ago. In the years since, I have graduated high school, college, graduate school, gotten married, and had two kids. Since then, Hitler's birthday is no longer chosen by these terrorists. It could happen any day. Since then, it is now normal for preschool students to practice intruder safety drills. It could happen anywhere. Yet, in that same amount of time, Columbine has dropped out of the top ten lists for American mass shootings. The numbers have risen, but the standards have not. We have a problem. And, I don’t think it is one-side or the other. We are smarter than that. I don’t know the answer, but I do know that not working towards finding an answer has not helped us. It’s time to come together to find a solution – without saying one thing is the ultimate cause. Do we have a mental health problem? Yes! Do we have a gun problem? Yes! Do we have a heart problem? Yes! We can acknowledge that we have problems in all these areas without losing our voter registration cards. My life and my children’s lives matter more to me than political parties. There’s a time to compromise – and we have far exceeded what is healthy for our country when it comes to these issues. Yesterday, Valentine's Day was ruined for at least 17 families senselessly. It must stop. One political party is not to blame. One political party cannot solve a problem this big. We have to work together.